The talents behind the new musical Come From Away have reason to celebrate! The show has recouped its $12 million capitalization in less than eight months on Broadway. Come From Away began performances on February 18 and officially opened on March 12 at the Gerald Schoenfeld Theatre. "Since we first saw the presentation of Come From Away four years ago at the NAMT Festival, helping to share this remarkable true story of generosity and compassion has been a passion project for us," said the Junkyard Dogs, the show's producers. "It has been such an incredible experience to see audiences all across North America, and now on Broadway, connecting so viscerally with this celebration of the best of humanity." Come From Away tells the true story of 7,000 stranded passengers on September 11, 2001, and the small town in Newfoundland that welcomed them. The show features a book, music and lyrics by Irene Sankoff and David Hein, direction by 2017 Tony winner Christopher Ashley, musical staging by two-time Tony nominee Kelly Devine and music supervision by Ian Eisendrath. 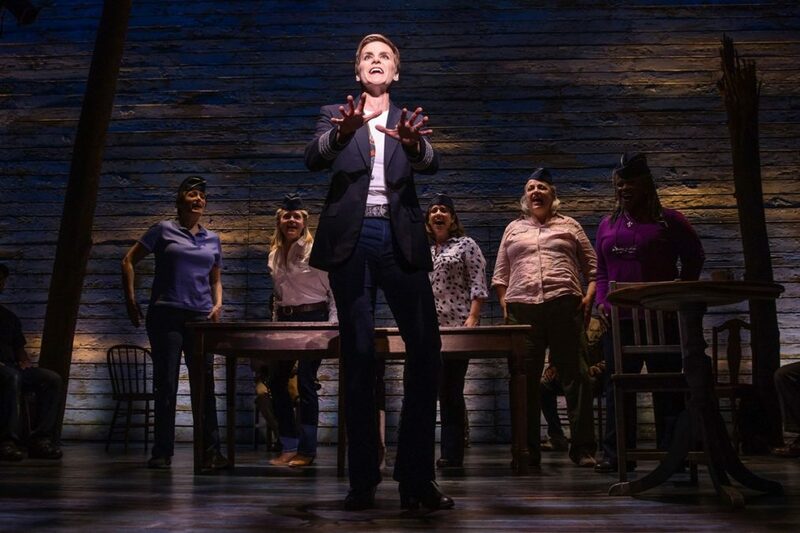 The cast of Come From Away currently features 2017 Tony nominee Jenn Colella, with Petrina Bromley, Geno Carr, Alex Finke, De’Lon Grant, Joel Hatch, Chad Kimball, Lee MacDougall, Caesar Samayoa, Q. Smith, Astrid Van Wieren, Sharon Wheatley, Josh Breckenridge, Susan Dunstan, John Jellison, Tamika Lawrence, Tony LePage and Julie Reiber. Get to know Come From Away Tony nominee Jenn Colella in her episode of Broadway.com's Show People with Paul Wontorek.